"In The Gifted and The Betrayed, Matthew Dickerson's masterful story-telling and talent for suspenseful narrative draw us into the battle to save Gondisle from the Daegmon Lord. 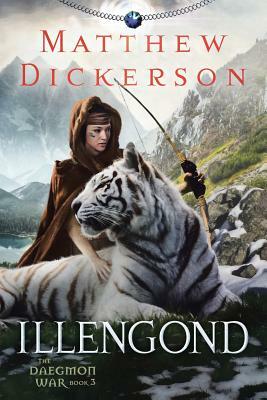 Dickerson brings to the creation of fantasy epic his keen observation of the natural world. Gondisle's woods, plains, mountains, and marshes seem as real as those of our world. Nature is a living presence in The Daegmon War, and Dickerson follows in the footsteps of Tolkien and Lewis in making of fantasy the art of re-enchanting the world. This series satisfies our hunger for meaning as well as it satisfies our thirst for adventure." --Benjamin Myers, former poet laureate of Oklahoma.